« Louise Ross: E-cigarette samples – a legitimate way of helping people to switch? The table below compares the rules for participating as an observer in the WHO Framework Convention on Tobacco Control (FCTC) with the UN Framework Convention on Climate Change (UNFCCC). FCTC observers have to support the aims of the convention, not simply to be affected by it or to have views and knowledge about it. UNFCCC observers just have to be ‘qualified’ in the matters covered by the convention. FCTC requires observer non-governmental organisations to be transnationals. UNFCCC admits national bodies. FCTC observers have to be approved by consensus by the Parties (i.e. each party has a veto, whereas UNFCCC requires one third of the parties to block an observer. FCTC emphasises contribution to tobacco control. UNFCCC does not require any particular approach. FCTC requires observers to report on activities undertaken to implement the convention. UNFCCC does not require reporting by observers or expect them to implement the convention. You can see how the FCTC Secretariat applies these filters in its recommendations for who should and should not be accredited as new observers at COP-7 [FCTC/COP/7/3]. Any potential dissenting voice purged. A comparison between the NGO observer participation in the FCTC and UNFCCC (climate change treaty) is instructive. “international and regional nongovernmental organizations whose aims and activities are in conformity with the spirit, purpose and principles of the Convention, may apply for observer status. …protect present and future generations from the devastating health, social, environmental and economic consequences of tobacco consumption and exposure to tobacco smoke by providing a framework for tobacco control measures to be implemented by the Parties at the national, regional and international levels in order to reduce continually and substantially the prevalence of tobacco use and exposure to tobacco smoke. …and should there be any doubt what is expected of NGOs it is explicit in Article 4.7. The organization must have completed at least one full accounting year. Decision-making – secretariat reviews conformance with criteria and makes recommendation to the COP. “granted by the Conference of the Parties, based on the report of the Secretariat, and taking into account the 17th and 18th preambular paragraphs as well as Article 5.3″ Decision-making [Rules of procedure 7] – the secretariat reviews applications makes recommendations, an applicant can only be blocked by one-third of the parties (a high bar). NGOs with observer status to the COP will be requested to submit a report on their activities to the Secretariat every two years. Such reports shall be submitted at the latest six months before the opening of the next session of the COP. In this regard, the COP adopted a standard reporting questionnaire to be used by NGOs which will be available on web-based format in due course. So how do smaller organisations get in as observers? Membership of the Alliance is open to all non-governmental organisations (NGOs), and NGO alliances and coalitions. Government bodies, inter-governmental organisations or businesses cannot be members of the Alliance. Individuals not affiliated to an organisation can also join the e-mail conference, but they must first be approved by existing Alliance members, in the same way as groups, and will not appear in any list of Alliance member organisations. Membership of the Alliance is contingent upon endorsing our ‘Vision and Mission’ and the FCA Statement on not receiving any funding from tobacco companies or their subsidiaries, agents or consultants. New members must be endorsed by two current FCA member organisations and receive no objections from current members. There is no charge to become a member. The vision of the Framework Convention Alliance is a world free of death and disease caused by tobacco. to carry out effectively the watchdog function for the Framework Convention on Tobacco Control. 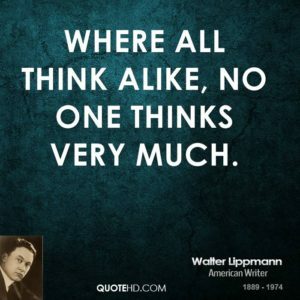 Hardly a basis for diversity, originality or breaking away from group-think. The problem with this is that it ‘edits’ the presence of civil society to a few tobacco control, health or medical groups. No consumer representatives are present, none of the businesses affected have a role, the growers are (shamefully) marginalised. The groups that are admitted as observers like to describe themselves as ‘civil society’… but they are no such thing. There are literally no grass-roots organisation present. Firstly, the observer status filters mean they reflect a narrow and even extremist perspective in civil society. Secondly, they are largely grant funded from a small number of like-minded donors and (e.g. Bloomberg Philanthropies, Bill and Melinda Gates Foundation etc), so they are not really civil society organisations at all – but effectively the paid up ideologically sifted agents of (mainly) American mega-foundations, admitted by WHO because of their duty to be compliant. There has been no real grass roots activity in Tobacco Control for at least 3 decades. There are no genuine civil society members in TC in any country where it acts. TC is a global coterie of state funded medical bureaucrats, academics, regulators and professional lobbyists peddling a single interest issue into the political system of each country, while cultivating a financial and political “partnership” with the pharmaceutical industry (which dwarfs the tobacco industry in every power indicator). The WHO simply formalizes and coordinates this activity. Tobacco Control started in the USA in the 90’s, taking the format of the single issue lobbying model of USA politics. This same model is now acting globally. It is the NRA or AIPAC model applied globally to the tobacco issue. The COP-X meetings sponsored by the WHO are simply the “camp house” yearly events where these medical bureaucrats, academics, regulators and professional lobbyists meet and decide strategies and tactics. The likelihood of these camp events admitting alternative views on their single issue is as small as the yearly convention of AIPAC admitting speakers voicing alternative views on the USA-Israel relation, or the NRA convention admitting speakers that advocate stricter regulation on deadly assault weapons. These lobbies have become very powerful players in USA politics, achieving a total veto power on their single issue. However, their power is not absolute nor ever lasting, simply because their single issue may loose relevance or upholding the lobbyists wishes could clash with other (and also powerful) vested interests. An example of this is the Cuban American National Foundation, which successfully lobbied to exert total control on every aspect of USA external politics towards the Castro regime. While the cold war lasted they were very successful and managed to rally most Cuban American in voting for the Republican Party (no election could be won in Florida without their support). As the cold war ended, the communist threat lost relevance in USA politics. As the Cuban American elite that founded this lobby became older, younger Cuban Americans lost interest in the “cause”. The Castro regime is slowly changing because the Castro brothers are old and a lot of vested interests supporting a detente with this regime (investment in tourism) began to come forward. All this produced noticeable changes in the landscape: most Cuban Americans vote for the democrats and the USA has diplomatic relations with the Cuban regime. The CA Foundation is history. It is not outlandish to guess that the influence of Tobacco Control, as a transnational variety of the USA lobbying model, may decay when conditions supporting it begin waning off. This can come through the strengthening of the gradual shift of Public Health paradigm from prohibition to harm reduction, all this accompanied by real grass roots activity, organized consumer associations promoting THR and (why not?) professional lobbying. Another development may come from the Public Health and Pharma conglomerates assigning more priority to the anti-obesity single issue. These changes may occur from outside and from inside Public Health. Once these they gain sufficient momentum, the COP-X “camp houses” at the WHO will be open to more diversity of people and ideas. I hate the whole apparatus of ‘tobacco control’. It is extremist and those involved seem to feed off each other, developing more and more extremist views each year. The WHO is a big player in that workd. I don’t think smoking is healthy, not at all. But the ever-increasing insults and punishments meted out to sthose who either wish to smoke or cannot quit are getting out of hand. And these controllers fight to discredit reduced-harm alternatives as well, ibecause in their extremist and harsh little world they think any smoker should be able to just quit cold-turkey. When they brought in the law outlawing smoking in pubs, the tobacco control brigade, and the governments they influenced, promised that this was not ‘the thin end of the wedge’. But they lied. It was, and the wedge is getting bigger all the time. U wonder who’s fault it was in the beginning in giving them the wedge? It seems to me that whilst Margaret Chan may not actually doing something illegal by setting up The Alliance in the way it has,she is certainly sailing very close to the wind!